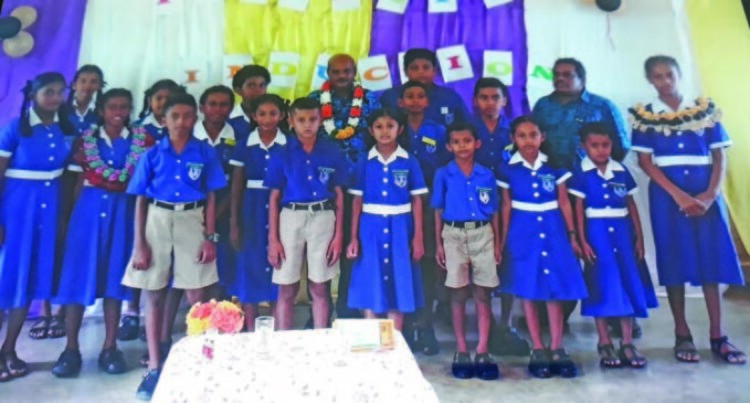 Student leaders of Naleba Primary School with chief guest Ram Lingam. A German-born Fijian is eager to take on the role as head boy of Naleba Primary School. Orisi is the eldest son of a retired British Army officer, who now lives in Naleba Settlement and is engaged in farming. Orisi travels from Naleba to school with his two younger sisters. Naleba Primary School is located at least 16 kilometeres from Labasa Town. Assistant head teacher Vincent Sahayam said even though there was a selection criteria policy guideline, Orisi was naturally a well-behaved student who showed great respect to teachers, was hard working and had parents who were supportive as well. Moving forward, Orisi looks to a career in aviation. “I want to become a pilot or aircraft engineer,” the Bua native said. Chief guest was a retired school teacher, Ram Lingam, who reminded the prefects to be responsible at all times. “You need to be a very responsible prefect to carry out your delegated duties well,” Mr Lingam said. He also reminded students to be fair, be good role models and to listen to the teachers at all times. Eighteen prefects were inducted, including six senior and eight class prefects. The event was also witnessed by the parents.